To create this look, I started with a generous coat of my good ol’ OPI Nail Envy to prevent staining and to promote nail growth. 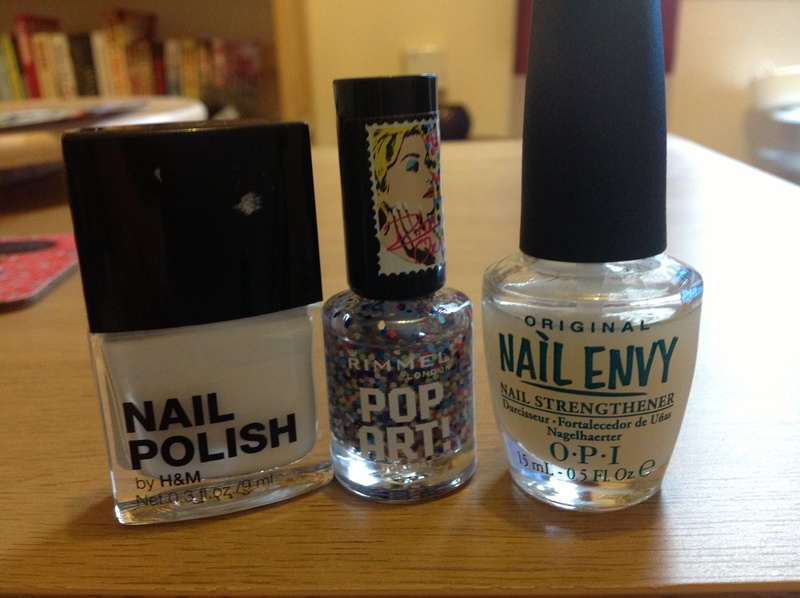 I then added a layer of white polish from H&M.. Not usually somewhere that you would think of for nail polish but they are really great and incredibly affordable at under €3. 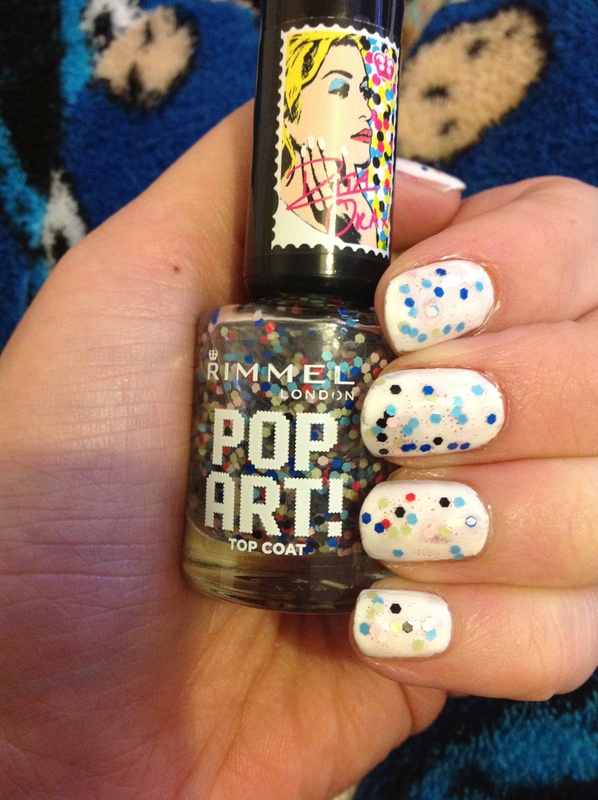 To finish, I applied just one coat of the RIta Ora pop art top art and voila… Disco party on my nails! Have you guys tried any shades from the Rita Ora range? What shade would you like to try the most?